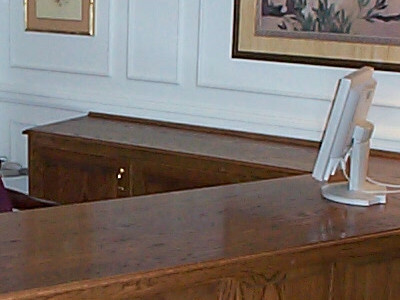 Not all furniture needs are alike... We create furniture and cabinets to fit your unique needs. Full Wall Centers, Cabinets, etc. Alan is the owner and craftsman. 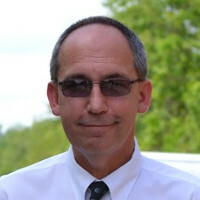 With the assistance of his wife and sons he has been in business for the past 20 years. 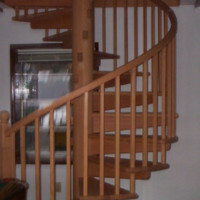 Alan's furniture not only fits your custom needs but are stronger than todays furniture. Therefore your investment will be in working order to hand down for generations. Fine Oak Cabinets With Custom Drawers. 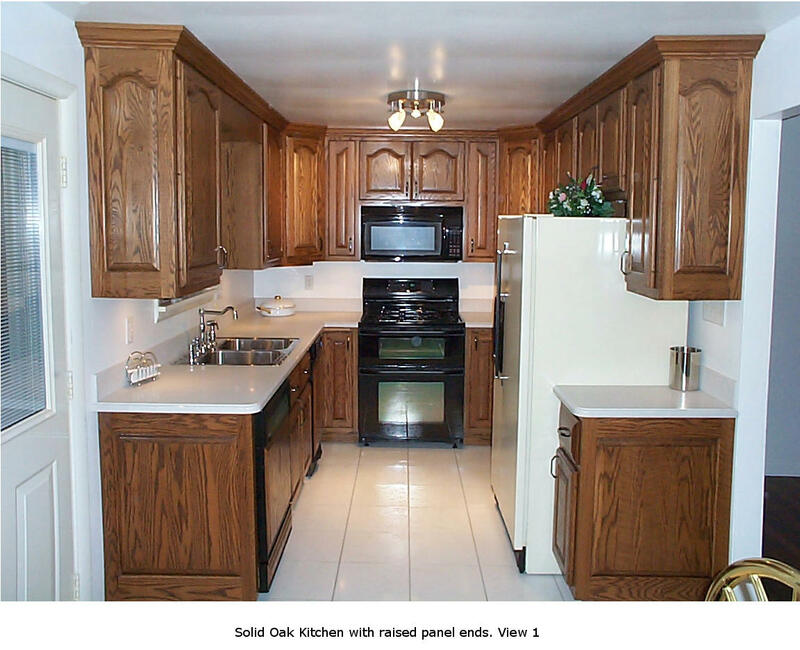 This is a solid oak kitchen with over 15 cabinets framing the sink, refrigerator, ovens, and dishwasher. There are many uniquenesses that cannot be seen like the trash compacter, knife storage, and hidden mixer. 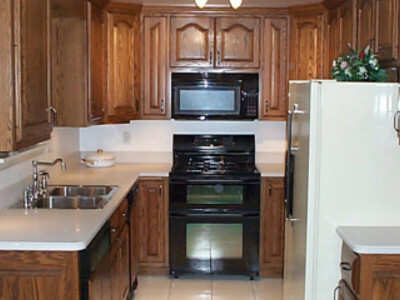 Customize your kitchen today! 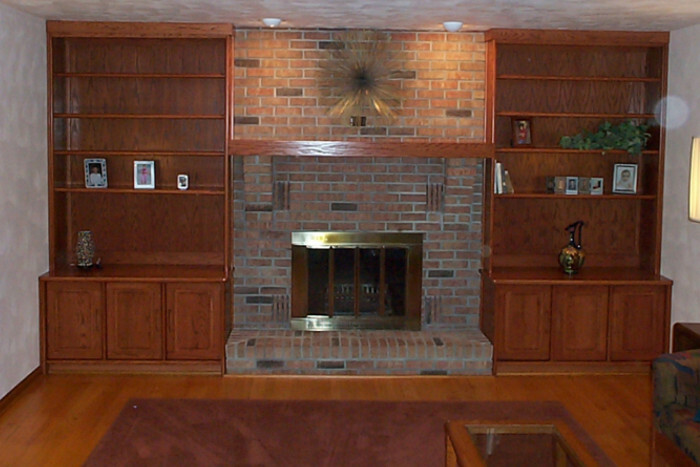 Fireplace with Mantel and Custom fit full length book shelves. The book ends that fit perfectly floor to ceiling add not only a ton of storage but help to frame and pull in the mantel and fireplace perfectly. All solid wood that will last several lifetimes. 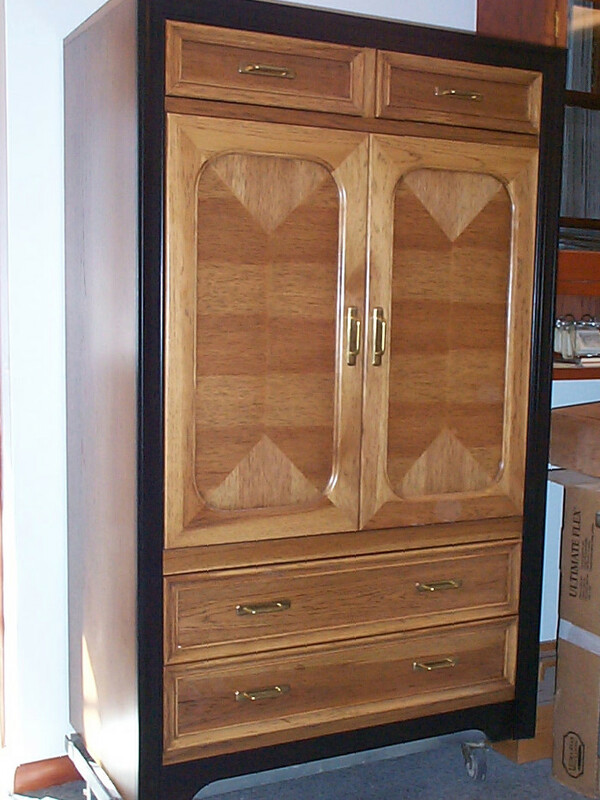 Hickory Television Cabinet with Detailing and Drawer Space. 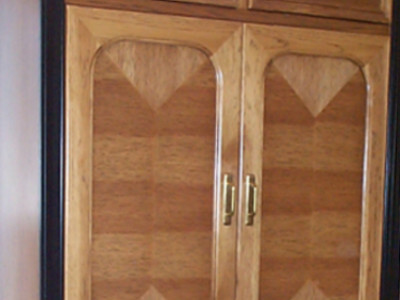 This is a small example of what Alan can do with an entertainment center but is used to show his talents with the grain inlay and detailing that make this a beautiful way to cover the television when not being used. Ask for more examples if you would like to see other work to get ideas. 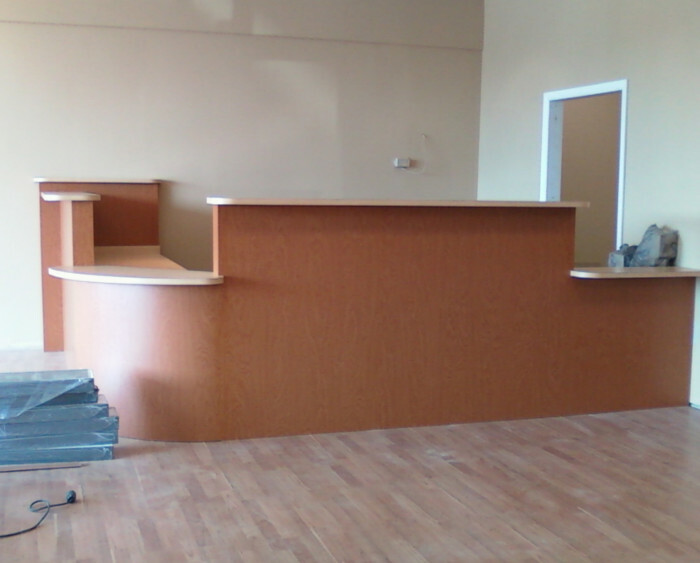 Front Reception Desk for Local Business. 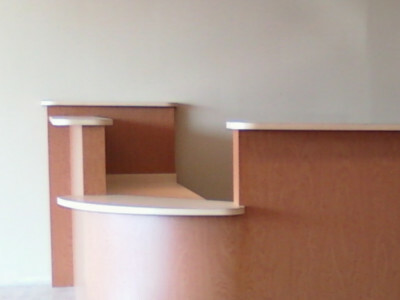 This reception desk was built for a local corporation to be a customer facing, inviting and function desk to easily recieve multiple customers when they enter the business. 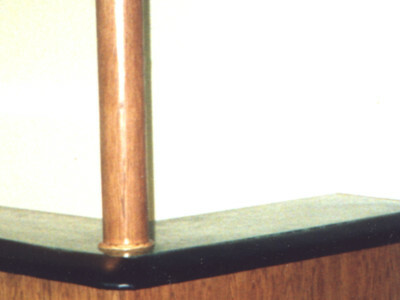 Simple but beautiful craftsmanship on this 'L' shaped basement bar. 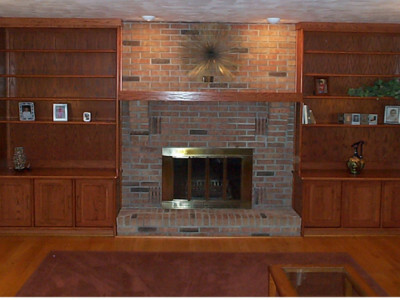 You can see the craftsmanship on this simple design that was perfect for this customers basement entertainment needs. 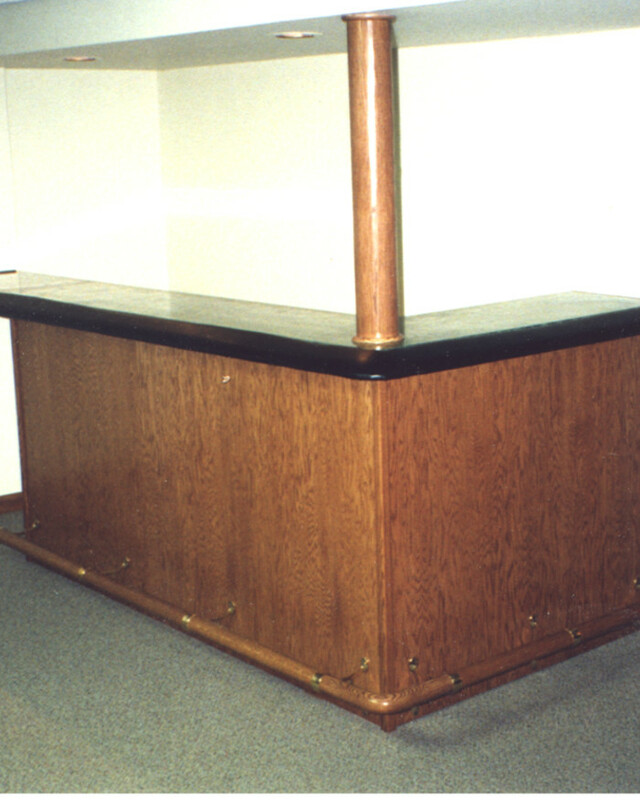 Bring Alan your custom ideas for your bar or ask to see more past jobs to get ideas. No Bar is to big or small. 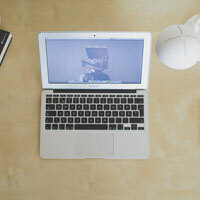 What's Your Computer Resting On? 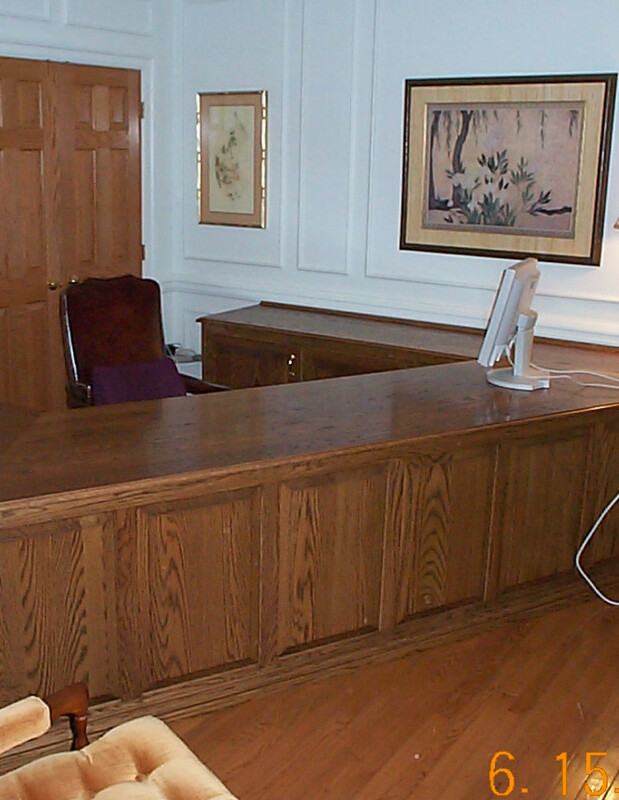 This oak desk was designed to maximize the space and angle of this odd shaped office. The Oak is sturdy and strong and the there is plenty of top space top spread out papers as well as it looks beautiful when customers come visit.